Essex Rotary are proud to bring you the Aeromotive Stealth 340 Fuel Pump that will fit in the same location as your failing OEM pump. 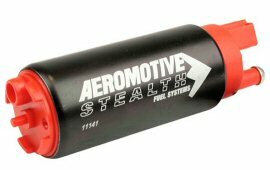 The Aeromotive 340 Stealth Fuel Pump is a high-output, in-tank, electric fuel pump that fits most popular EFI applications. 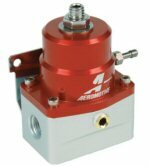 The Aeromotive 340 is a compact, lightweight pump that bolts into many existing hanger assemblies. (while fractionally longer then the OEM RX-8 pump this Aeromotive pump will fit) What sets the 340 Stealth Pump apart is its superior flow throughout a wide pressure range. 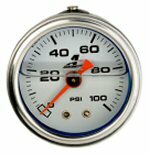 Compared to other popular aftermarket pumps, at 40 psi the 340 boasts more than 340 lph. That's over 30% more flow. This pump is ideal for applications requiring more flow while retaining the factory lines and mounting provisions available in the Original Equipment (O.E.) configuration. The 340 is also perfect for use as a universal replacement for applications that require more flow to support forced air power adders such as turbo and supercharged applications. 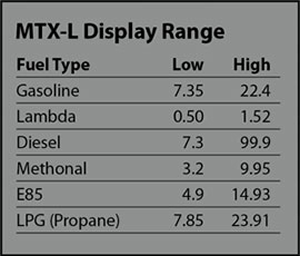 We have been running this pump in our own cars for a few years now with excellent results and no drop in fuel delivery. Please note that modification of the pop off pressure valve in the pump assembly will be required to run any uprated pump on the RX-8's fuel pot. Whether you're installing a nitrous system or simply a fuel pressure gauge, splicing into the factory fuel lines can not only add another complication into an install but poses problems if you convert your RX8 back to stock. 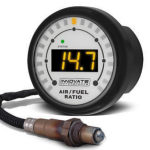 The Aeromotive Fuel Line Adapter allows you to connect a gauge sender or a fuel line for a nitrous setup without having to alter your fuel lines. The connection fits in line with the RX8 fuel system for a clean and simple install. This Quick Connect unit simply fits between an existing factory quick connect location in the fuel rail and allows for both a 1/8npt and AN-6 outlets. 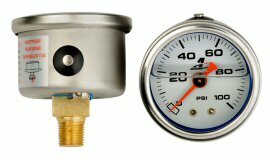 1/8npt is usually used to a pressure gauge or sensor and the AN-6 usually for a fuel line feed for something like a wet shot nitrous kit. 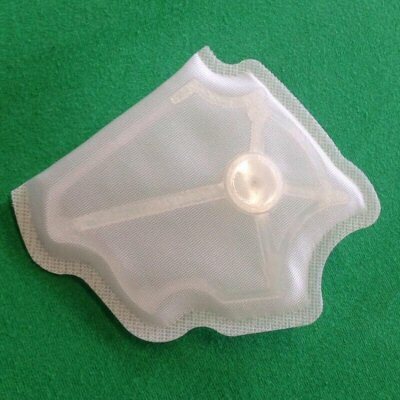 We also include an AN-6 plug in with the kit. Black Halo Racing offers this fuel pump ring removal tool for all model years of the Mazda RX-8. Made from CNC'd billet aluminum and anodized black, this tool features a 1/2" receiver to help the user easily apply the torque needed to remove the fuel pump ring from the fuel tank.